Living, today, in Suffolk Park (near Byron) Gary is a keen member of Ballina´s Flat Rock Mal Club and regularly competes - and supports - contests up and down the east coast - making boards for the annual Classic Comps at both Lennox and Crescent Head - amongst others. He is also a guest member of the Burleigh Longboard Club - where his boards enjoy a loyal following - for which he is very grateful. 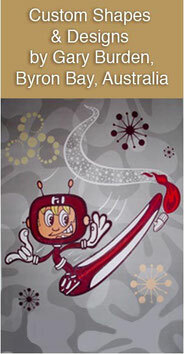 has a deserved and enduring reputation as one of Australia´s leading surfboard manufacturers. Byron´s Arts & Industry Estate. 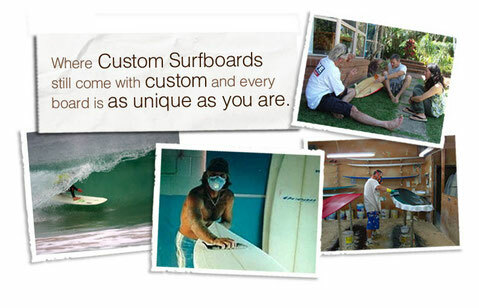 Gavin has been serving the surf industry with quality glassing and finishing work, since 1967.
materials and workmanship employed in making an Astro board are of the highest quality in Australia. get to know each of his customers personally - with a passion for making the best possible board for every individual. with you is every bit as important as his shaping and surfing are. If you´d like to chat to Gary about your surfing needs and options - or find out more about his shapes, designs and prices, please feel free to call him on his mobile or drop him an email.